Crush your Learning Curve on Propellerhead's Reason 9 with David Wills' personal tour of Reason's brand new version 9! Reason has long been a favorite DAW of many engineers and musicians due to it's ease of use but this in depth training course takes you behind the scenes to Reason's POWER tools. A complete suite of production features that equate to a whole studio's equipment locker of gear. With over 3 hours of in depth training David Wills takes you from a bird eye view down to deep instruction that will make you the master of your Reason DAW. 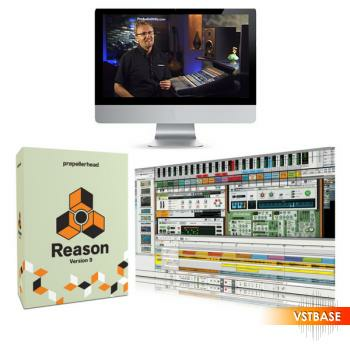 If you have been getting frustrated trying to learn Reason from just using the manual, then sit down, grab a cup of your favorite beverage and look over the shoulder of a professional audio engineer with 30 years in the business putting Reason through its paces. SAMPLE CLIP 1: New Note Echo Tool. SAMPLE CLIP 2: Recording with Dr OctoRex Loop Player.